Think about it - Steel is stronger, lasts longer, and more ecologically friendly than alternative materials. Modern started in 1932 building quality storage tanks out of steel. Today, it remains the material of choice for compatibility with current and emerging fuel blends. Superior independent strength of steel means backfill plays a minimal role in supporting a tank under load. This means a low probability of structural damage to the primary tank during installation. The structural strength of steel allows for flat head design which means more efficient use of space. The compatibility of steel should give you peace of mind when it comes to changing fuel formulations. Think about it – what material is used in all upstream and midstream fuel production? It’s Steel! 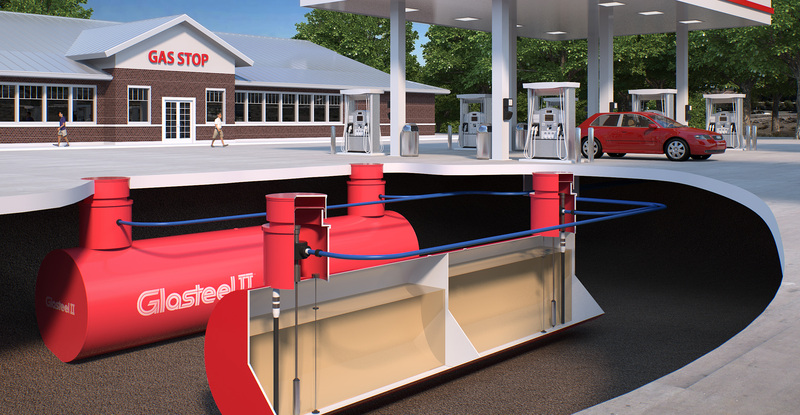 Steel tanks are the safe choice for current fuels and fuels of the future. For example, isobutanol blended fuel, which is now approved by the EPA for production, is regarded as the next major bio-fuel. Testing shows steel performs very well, demonstrating excellent compatibility with this bio-fuel of the future. 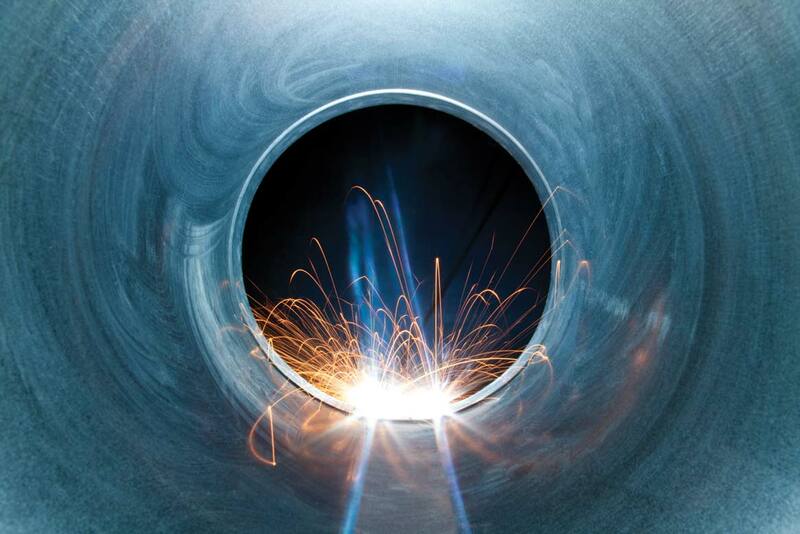 Steel tanks depend on maintenance – we aren’t afraid to say it. Neglecting your tank can result in degradation of the fuel being stored, clogged filters, potential engine damage, unsatisfied customers, degradation within the primary tank itself and even deterioration of the equipment associated with fuel dispensing. No tank is immune. #1 Recycled Material in the U.S.
Steel has environmental advantages over fiberglass because of its high recyclability. At 80 million tons per year, steel is the most recycled material in the United States. Steel has the economic advantage over fiberglass. Not only will you get a long life out of your steel tank, there’s also considerable up front savings with the purchase and installation of your tanks, making you profitable much faster. See comparison below. Inherent structural weakness means backfill and compaction are critical for proper tank support. When fiberglass has structural damage it is often blamed on installation mistakes which could void warranty coverage. The structural weakness of fiberglass requires a domed head design. So a fiberglass tank will be longer than a steel tank of the same volume. A longer tank means potentially a higher cost of shipping and certainly excavation of a larger area. The compatibility of fiberglass should cause concern with changing fuel and additive formulations given ongoing reports of delamination, leaching, blistering and cracking. Compatibility testing of isobutanol blended fuel with resins used for fiberglass was not so favorable. The material exhibited softening and swelling, bringing into question, the compatibility of fiberglass tanks with this bio-fuel of the future. Fiberglass tanks depend on maintenance. Despite what you are told, the notion of a maintenance-free tank is a dangerous one. Simply put, the absence of maintenance can result in poor fuel quality, unhappy customers, and a high probability of tank failure. Furthermore, if fiberglass tank companies are so confident their product is maintenance-free, why do some manufacturers exclude warranty coverage for lack of maintenance? Fiberglass can be recycled but it has its challenges. The processes available are complex and very expensive. In many cases the process itself does harm to the environment. Research and development continues to make this a more viable renewable but unfortunately most scrap fiberglass ends up in a landfill. Fiberglass is a synthetic material that requires expensive raw materials and labor intensive manufacturing to produce. The structural fragility of fiberglass necessitates larger excavation and complex installation. See comparison below. Up to 30% less than cost of fiberglass. Based on published discounted prices. Fiberglass USTs are typically the most expensive on the market.